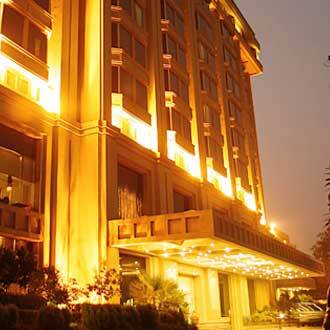 This luxury hotel at Bangla Sahib Road maintains a total of 185 guest rooms, and boasts of three restaurants namely, Sakura, a Japanese restaurant, Chutney Bar + Tandoor restaurant, Zing restaurant and NeoVeda Spa that has been awarded with Certificate of Excellence award 2012 by Tripadvisor. The other hotel facilities include a swimming pool, NeoVeda Spa and the Met Craft House, an exclusive 3500sq. ft. store, showcasing the best merchandise of India.